Another option is to buy just the Jarvis frame and build your own top. This would allow you to customize the desktop and possibly save money. I also noticed (after I purchased mine) an open box special that is $479. The kit I purchased came in 3 in the boxes. 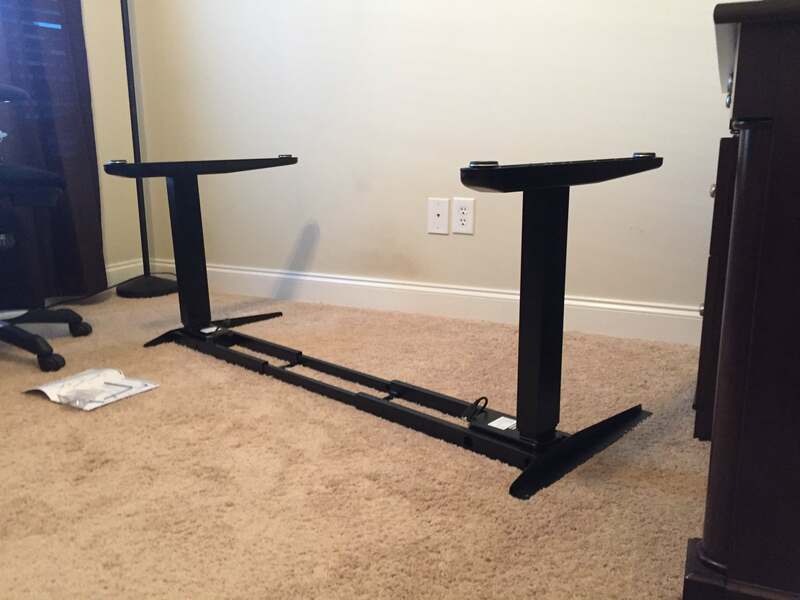 The desk, frame and a adjustable monitor mount, that I highly recommend. 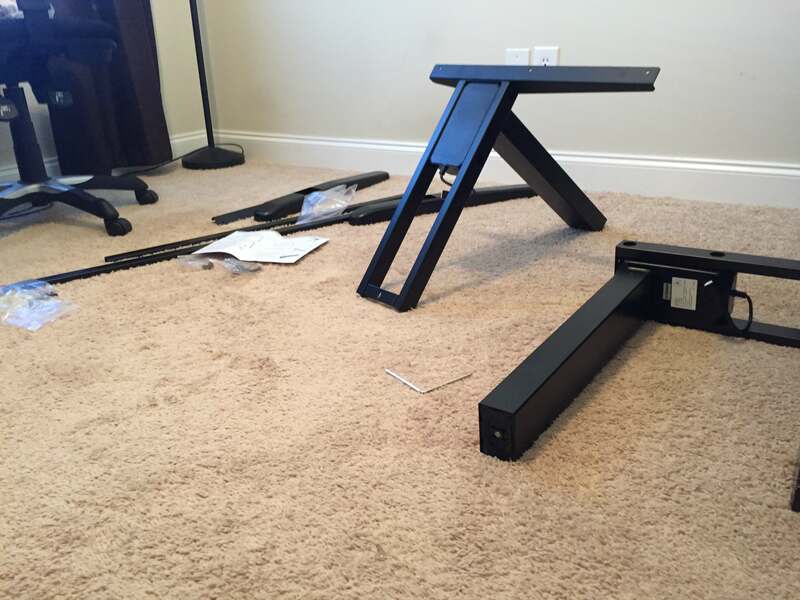 The desk took approximately 3 hours to assemble. Some of this time was spent organizing cables using zip ties. 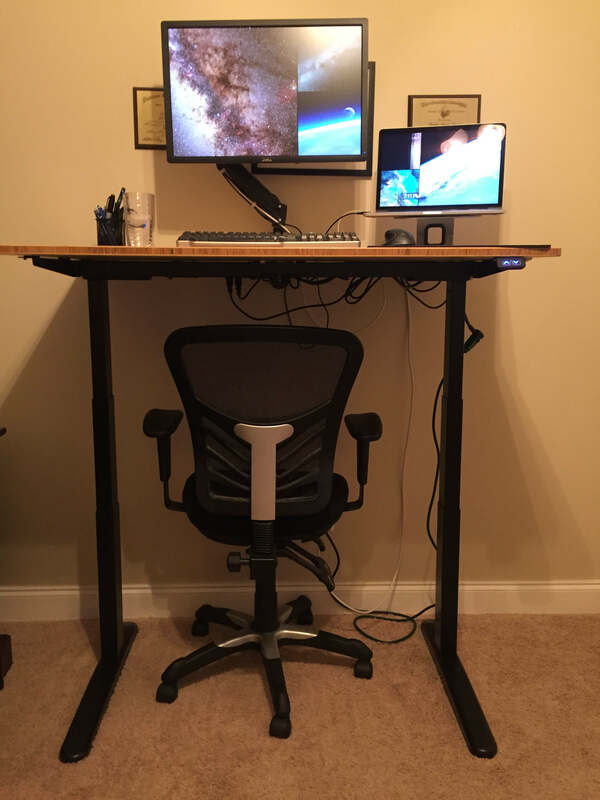 I have a similar desk and love it. Thought I’d mention a few things from my experience. To keep my desk ‘clean’ I added a shelf below attached to the back (bottom). It is about 12 inches and fills the width between the legs (although not attached to the legs). I set external drives and USB devices on the shelf so they are stationary in relation to my computers and keep the desktop looking good. I also have a Texas Redwood top… don’t do that.. the soft wood gets imprinted by writing pens if you don’t have a pad. 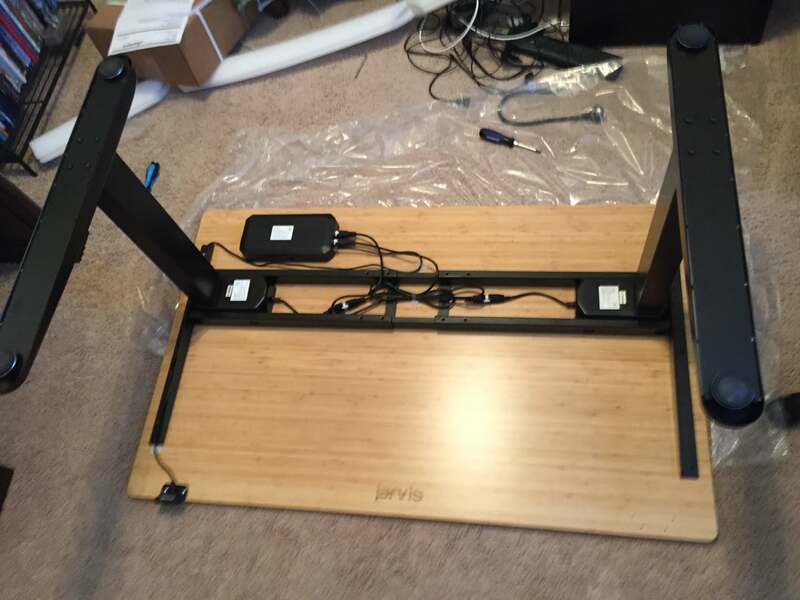 I added a power strip and a network router under table top so I only have three (including USB) tie wrapped cords to the floor. I then ran the cables inside a flexible plumbing line attached just above the baseboard to my other desk behind me for that ‘clean’ look. Oh, yeah: I added laminate flooring (over the carpet, matching the desk top) between the legs (just fits) to the opposite wall, so my chair rolls easily between the desks. Don’t forget to add Daylight bulbs! Thanks Mike for your thoughts. I like the shelf idea. Also I’m always struggling with the cable management and could use the flex tubing.